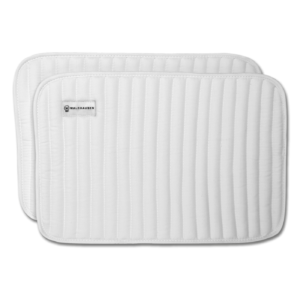 ANKY¨ Bandage pads are made of a specialized fabric on the inside and a nylon terry cloth on the exterior. Inside the bandage is a specially developed polyamide filling which relieves, absorbs, spreads and lessens the pressure on the leg of the horse. Anky Cooldry bandage pads are perfectly suited for use after training especially for cooling down of the horses legs. These bandage pads make sure all liquids are drained off so the legs cool down easily, fast and efficiently. Suitable for stable and travel . Available in sets of 4. 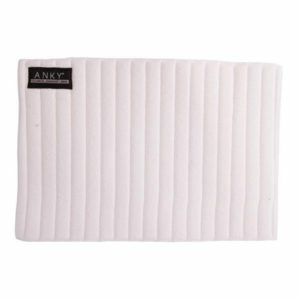 ANKY bandage pads are made of a specialised fabric on the inside and a nylon terry cloth on the exterior. Inside the bandage is a specially developed polyamide filling which relieves, absorbs, spreads and lessens the pressure on the leg of the horse. 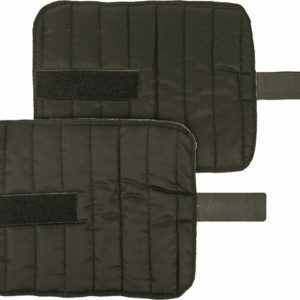 Anky Cooldry bandage pads are perfectly suited for use after training especially for cooling down of the horses legs. These bandage pads make sure all liquids are drained off so the legs cool down easily, fast and efficiently. Stunning new white fleece bandages, perfect for clinics and competitions. Set of four. Beautiful new season colours from Eskadron. 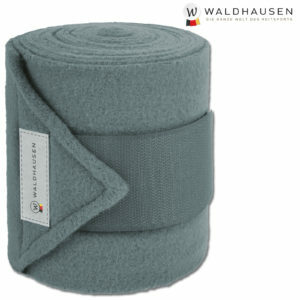 Quality polar fleece bandages available in Full size and Pony. Full- 3.5m Pony 2.9m. ANKY Bandages offer extra protection for the horses legs and are composed of a high quality fleece which also possesses strong anti-pillling properties. 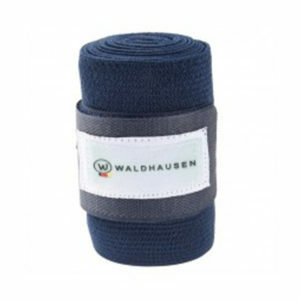 The bandages are made of 100% Polyester ensuring durability and strength. The wicking fabric makes sure that liquids like sweat will be drained off by capillary action. 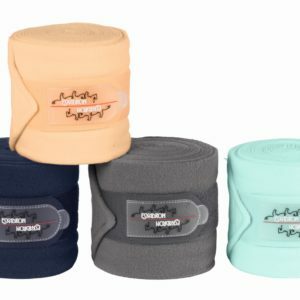 ANKY Bandages offer extra protection for the horses legs and are composed of a high quality fleece which also possesses strong anti-pillling properties. The bandages are made of 100% Polyester ensuring durability and strength. The wicking fabric makes sure that liquids like sweat will be drained off by capillary action. Discontinued colours. The nine Anky new seasons bandages perfectly match the new Anky saddlepads. 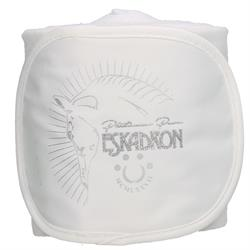 With a skin sensitive, sweat absorbing soft cotton-terry cloth inside. Sold in sets of two. Strong velcro to keep bandages secure, great colours with 2 tones, set of 4.